WHAT CAUSE WRIST PAIN ? 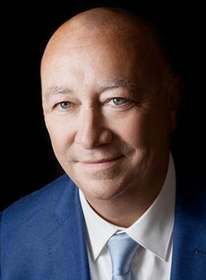 Former resident of French Hospitals, gold medal of French Hospitals, Christophe Mathoulin has served as senior consultant in the orthopedic department of Professor Thierry Judet at Tenon Hospital from 1987 to 2002. By 1988, he joined the "Institut de la Main" created by Professor Raoul Tubiana, currently headed by Professor Alain Gilbert. Orthopedic surgeon specializing in hand surgery and microsurgery, Prof. Mathoulin is an internationally recognized specialist in surgery of the wrist. He developed techniques for minimally invasive surgery, arthroscopy of the wrist and vascularized microsurgical transfers. He is the founder of the European Wrist Arthroscopy Society, the first and only international company dedicated to teaching and research in arthroscopy of the wrist. Inform you about the pathologies of the hand, wrist. He is also the director of education of wrist arthroscopy (EWAS / IRCAD / EITS) at the prestigious IRCAD institutions (Professor Jacques Marescaux) in Strasbourg in France, Lukang in Taiwan and Baretos in Brazil.